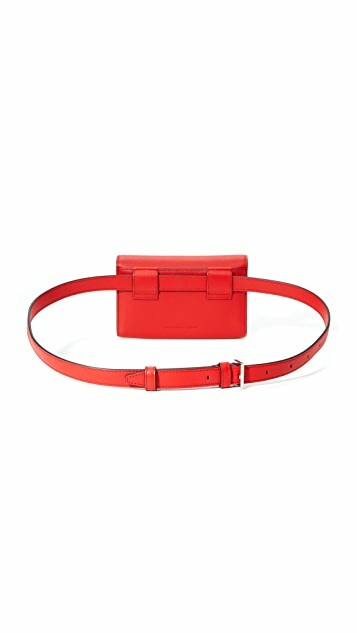 A small Alexander Wang fanny pack in soft, colorful leather. 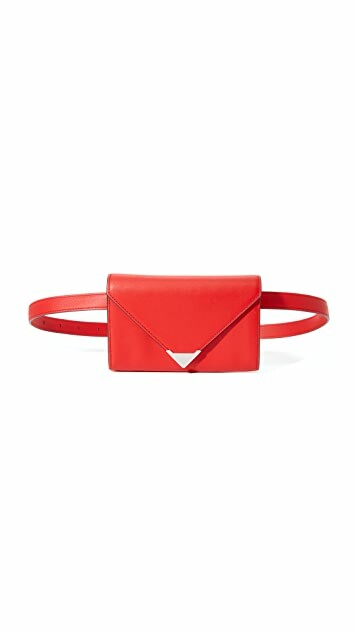 Hardware detailing at snap-tab top flap. 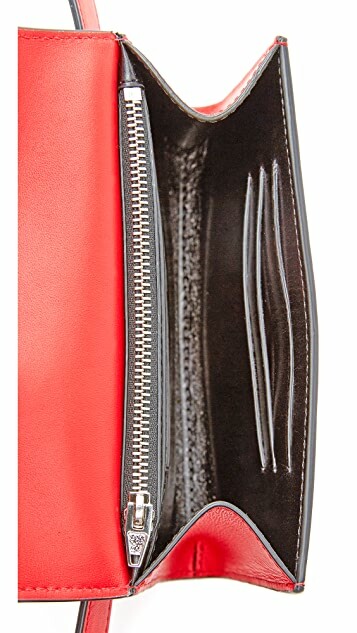 Leather-lined interior with 5 card slots and 1 zip compartment. 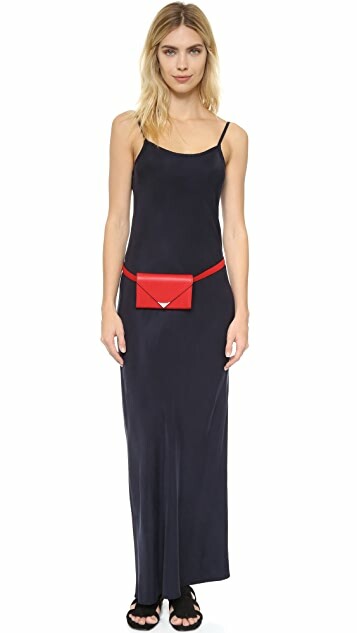 Optional belt with buckle closure.